A seminal project that brings together the moving stories of every Special Air Service and Long Range Desert Group casualty of the Second World War. 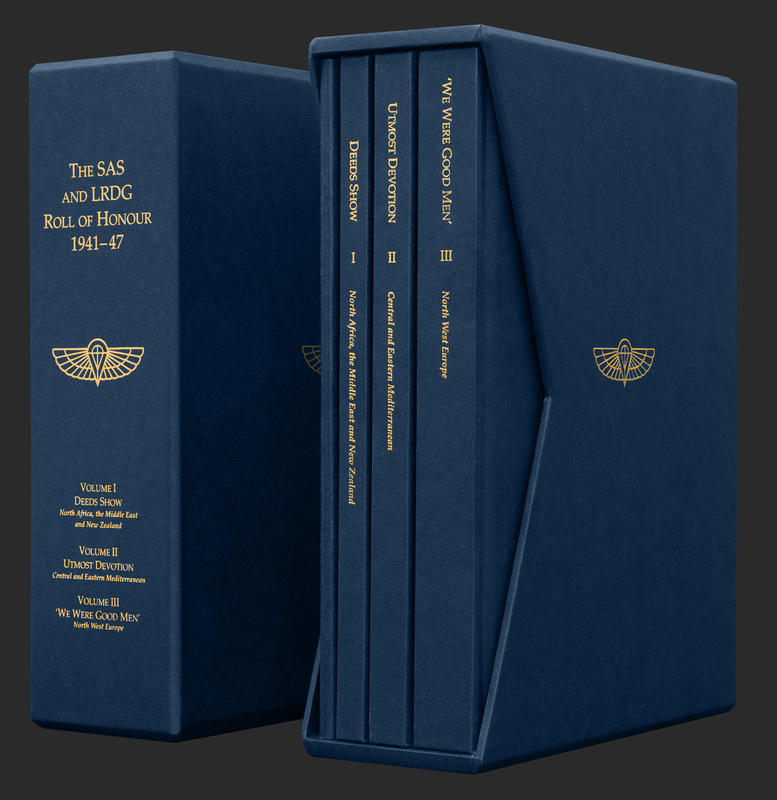 Meticulously and passionately researched over 13 years, this exhaustive work is a unique combination of operational reports, personal service records and medal citations, all given colour and depth through correspondence with next of kin and the recollections of those that were there. Lavishly illustrated, with many photographs published for the first time, it celebrates the extraordinary and largely unreported bravery of 374 casualties now commemorated in seventeen countries. This box set of nearly 800 pages will be of huge interest to anyone who appreciates the history of WW2 Special Forces. The 374 individual entries give a fascinating insight into the courage and fortitude of both professional and wartime soldiers who performed special deeds for the sake of others. Their engaging stories intertwine to accurately plot the evolution of the SAS, SBS (1st SAS), LRDG and of F Squadron, GHQ Liaison Regiment (Phantom). They also throw new and objective light on operations that have previously, in the main, only been described in Boys' Own terms. This Roll of Honour forms a fitting tribute to those who made the ultimate sacrifice during such operations. The box set is collated into three geographically arranged volumes and a separate User Guide so that it can be easily used 'in-the-field'. It will become the standard reference and benchmark within its sphere. In short, a 'must have' for those keen to commemorate the sacrifice each individual made, those who wish to support the charities to which the proceeds will be donated, and to historians, researchers, medal collectors and enthusiasts who seek a definitive and measured history of the wartime SAS and LRDG.